Northern California's Carr Fire has killed six people, including two firefighters, and forced more than 39,000 people from their homes, and has become one of the most destructive blaze in the state's history. As of Monday evening, the fire had burned roughly 104,000 acres and destroyed more than 1,100 structures, including more than 800 homes. Another 4,000 homes at risk, Cal Fire said in its most recent update Monday night. [post_ads]Firefighters gained some ground Monday containing the fire, which has grown into the state's seventh-most destructive. It is now about a quarter contained, up from 20 percent earlier. It was just 5 percent contained late Sunday. Forecasters said conditions will be difficult Tuesday due to Increasing winds, hot and dry weather, steep terrain and excess vegetation. More than 3,600 fire personnel, 334 fire engines and 17 helicopters are involved in fighting the Carr Fire. Officials have identified some of the victims -- including fire inspector Jeremy Stoke, bulldozer operator Don Ray Smith, resident Melody Bledsoe and her two great-grandchildren. Bledsoe and the children died after they became trapped in their burning house. The sixth victim was not immediately named. 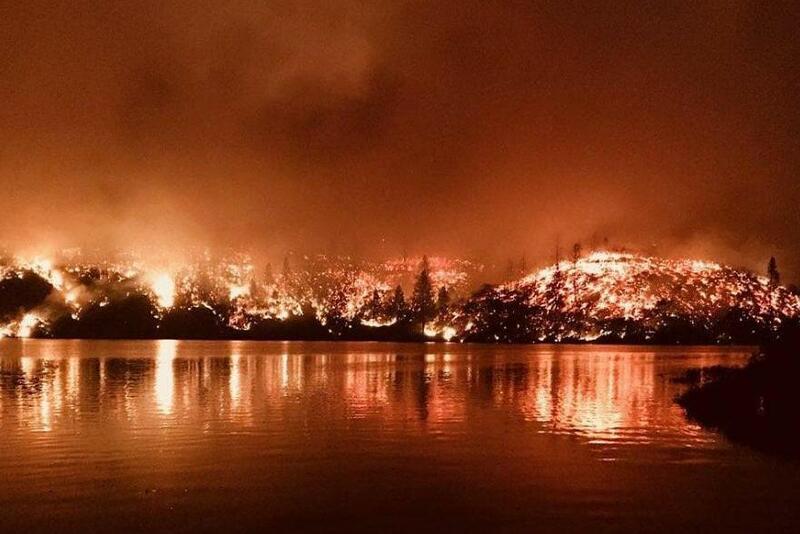 At least 19 people are missing in Shasta County, officials said at a community meeting Monday evening.